The 21st Amendment to the United States Constitution established today’s successful system of state-based alcohol regulation, which gives each state the authority to enact and enforce alcohol laws consistent with the desires and needs of its citizens. 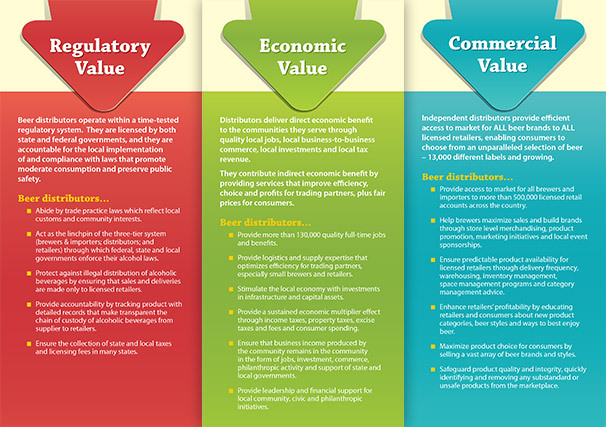 It gave rise to the American three-tier system of distribution – composed of manufacturer’s brewers/wineries, distributors, and retailers – which has effectively balanced community attitudes about alcohol with healthy marketplace competition and vast consumer choice for nearly 80 years. Idaho’s beer and wine distributors – employing over 900 hardworking men and women – are licensed by both the state and federal governments. Distributors source beer and wine products only from federally-registered manufacturers and importers and sell it only to state-licensed retailers such as restaurants and grocery stores. Idaho’s independent beer and wine distributors deliver regulatory, economic and commercial value in the communities where they do business.